It is a long dream of the human race to teleport people anywhere in the world, and the recent advancement in virtual technology like HaptX virtual gloves has pegged one more star to shape the impossible. The gloves let users move through virtual environments and feel virtual objects with their hands. The breakthrough like this paves the way for event planners to think beyond physical structures and dissolve the hard bricks into virtual nodes for tradeshows and events. With the introduction of virtual tradeshow, the days of planning an event, booking airline flights, hotel stays, staging it and filing it away are gone. The tradeshow shrunk from walking big aisles to a few inches browser. See below how virtual tradeshow operates. According to survey, done by MarketingProfs and Trendline Interactive, Trade shows are the most attended type of virtual event form. While in one of the recent survey , it was estimated that the virtual event market will grow from $14 Bln in 2018 to $18 Bln in 2023. Here is the case-study of the first ever virtual food-show to give an overall view of how virtual tradeshow is transforming the dynamics of traditional trade-shows. Jake’s Finer Foods (JFF): It is a leading foodservice distributor and restaurant supply company in U.S.A. Virtual tradeshow is like any ordinary tradeshow but unlike the physical venue it is held in a cyberspace through an online tradeshow platform. Some known platforms for virtual tradeshows include, eZ-XPO, InXpoLive, Communique, Bobni, etc. On these tradeshow platforms, exhibitors can manage booth, webcast videos, invite & promote, and even track report. All of these sessions take place in a hosted microsite, which is brought to users through an online platform. In same way attendees regardless of their geographical locations can visit booth in real time and experience same as physical tradeshow. See video below. Further, attendees can visit the virtual Auditorium to attend live and on-demand webinar presentations and even participate in live Q&A. There is a quite confusion over virtual trade show and hybrid event. A hybrid event could be a trade show, seminar, conference or other meeting that combines a “live” in-person event at a physical location with a “virtual” online component for remote attendees. 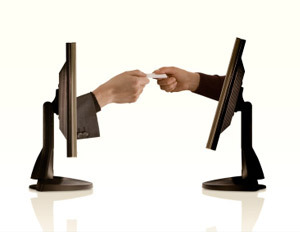 It will have both physical attendees as well as virtual attendees remotely attending the event. Whereas, the Virtual Tradeshow is completely hosted over a vendors micro-site and there is no physical venue involved, everything on the cloud. Hope this help to clear the cloud of doubts. You can collect attendees data in real time, for instance, booths they visited, total time spent in the booth, presentations they attended, etc. For any tradeshow physical or virtual, there are minor details that could leave a big impact on an event and help optimize your ROI. Registration fees could be a viable revenue source for some event organizers, but in case of virtual events, sponsorships bring more revenue than registrations. It is recommended not to charge for registration to attract maximum traction and focus more on sponsorship. There are lot of things you should know for your Virtual Event Sponsorship. Sponsors are more inclined towards sponsorship packages with different price points. Try to offer a mixture of large sponsorship packages. Similar to a physical venue, virtual tradeshow sponsors can leverage benefits as per their membership viz platinum, gold and silver. To attract more sponsors mention advantages clearly for each membership, for instance, the platinum member will have large signage and display content space than a silver member. For top sponsors, some exhibitors give provision to schedule follow-up live activity, maybe a few weeks after the live day. As an exhibitor, choose an online platform for your virtual tradeshow that has excess features for follow-up activity. There will be always some bottlenecks whenever a new technology or trend tries to float themselves in the mainstream. Few think there is a hype created around the Virtual Tradeshow and it has few limitations compared to physical tradeshow experience and among them, one bothers them most is networking. As an exhibitor, do you have a dedicated internet bandwidth to support virtual tradeshow? Will you be able to collect all important data like attendees time spent on booth? Does it support multilingual live chat for a global audience? Does it support broadcasting live seminar for your trade show? Does your virtual trade show have the technical personnel to fix technical glitch as well as Virtual Emcee and Camera Crew for better presentation? Will you be able to propagate content in different digital format instance producing bite-size videos for YouTube, recap blog posts, sharable slides, and audio content for iTunes or other podcast outlets? Will hosting site allows you to try a demo of your virtual tradeshow before going live? 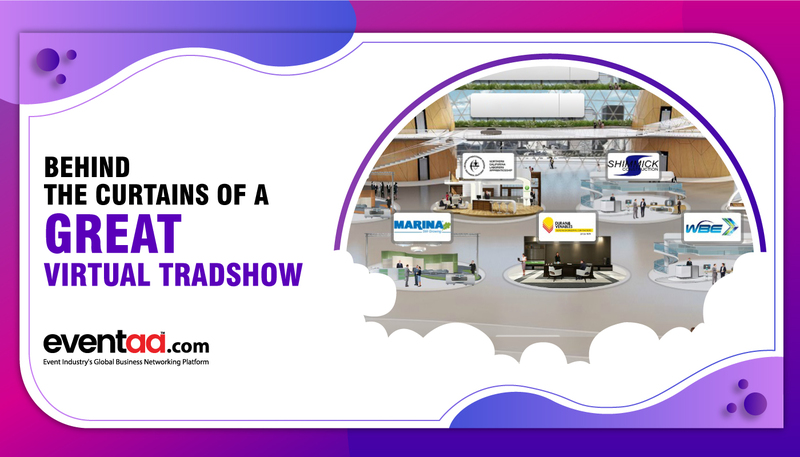 There is a mix feeling about virtual Tradeshow success and few are skeptical about the orientation but all survey data and metrics point towards a promising path. Considering all the attributes of virtual tradeshow, the tradeshow spotlight should be soon repurposed from physical show to a virtual one. Before the curtains pull off, let know, what’s your thought on this.